Whole Foods Market was launched in Austin, Texas in 1980. The early eighties would be ready for the natural foods industry with only 5 or 6 natural food markets in the U.S. The concept proved to be an instant success. Whole Foods Markets discovered the opportunity and through acquisitions and mergers began to expand their market from Austin to other cities in Texas. The Huston and Dallas markets were quickly opened. In 1988 a market was opened in New Orleans. 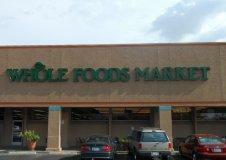 The next year Whole Foods Market opened a store in Palo Alto, California. Numerous mergers and exceptional services sustained the growth of Whole Foods Market. In 2002, stores were opened in Canada. Two year later 7 stores were acquired in the United Kingdom. Today, Whole Foods has over 350 locations in the United States, Canada and the U.K. Three of those stores are located in Tucson. River Road – East of Craycroft Rd. The Whole Foods Market at Oracle and Ina was reopened in August 2014 and being re-built. The new store is huge and offers all the services Whole Foods Markets are noted for. The store has over 30,000 square feet of space that draws on Arizona’s mining history. From our perspective, Whole Foods Market is a great store. If they don’t have it, you don’t need it. The array of food selections is wide and varied and the wine bar is a unique experience. It bring new meaning to shop till you drop…….? If you live in the greater Tucson area, you might want to stop at one of the Whole Foods Markets and give them a try. Considering a move to Tucson for a job, future place to retire or that special winter retreat? We can help.